The FlexUSB™ adapter bends, rotates and locks into place. 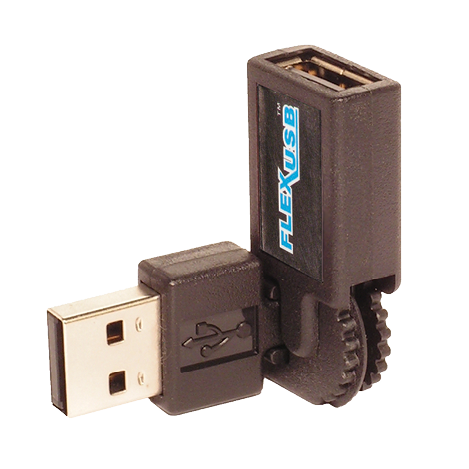 FlexUSB allows USB devices to be used with all computers in even the most cramped environments. This patented product is designed for Windows and Mac platforms, and for all USB 2.0 devices. FlexUSB Cables provide versatility in difficult to reach and confined spaces, requiring less than half the footprint of conventional USB cable connectors. FlexUSB Cables are available in multiple connector types and for USB 2.0.